We’d love your help. Let us know what’s wrong with this preview of The Five Legends by Anasazi Foundation. To ask other readers questions about The Five Legends, please sign up. The main characters in this one are Thunder Bear and Strong Wolf. Thunder Bear is the one who the reader gets to “see” the story through. He has some very strong ideas about who is to blame for the chasm between the two of them. But he learns and grows throughout the book I really enjoyed reading this book. I loved the way it was put together. And the lessons that can be learned from it. 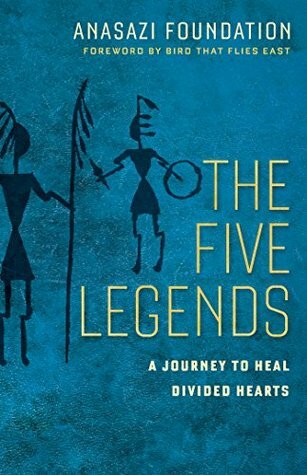 One of the things that stood out to me is how similar the messages from each of the Five Legends were to what I have been taught in my reli The Five Legends isn't the type of book that I typically seek out, and it honestly took me awhile to sit down and get started. The foreword had a lot of Navajo words and being unfamiliar with the language I stumbled over the mental pronunciation and it halted my progress. However, when I sat back down a second time to finish the book, I thoroughly enjoyed it.